By Catherine on November 30, 2017 | Last Updated December 11, 2017 | 3 Comments | Medical Disclaimer | This Post Contains Affiliate Links - I may receive a commission if you purchase through links in this post. I ate a lot of Chinese food growing up, and orange chicken was always one of my favorites, along with most everyone else. Traditional orange chicken takeout is fried in questionable oils and sauced up with unmentionable additives that are definitely not doing your health any favors. It’s cool if you’re eating takeout once in a blue moon and enjoying it thoroughly, but that’s not the kind of thing I overlook enough to prepare in my own home or eat on the ‘regular’. When I’m in charge of preparing my own food, I take the ingredients to another level, one that this healthy orange chicken recipe passes with flying colors. So go ahead and give it a try. I know you’ll love the sauce – any sauce that starts out by reducing 3 cups of orange juice is going to be good. Prep the orange juice: In a large Dutch oven, bring 3 cups of orange juice to a slow boil and let simmer for about 20-30 minutes until the juice has reduced to roughly about ¾ – 1 cup and begun to thicken in consistency. You can tell when this happens because the juice will leave a little bit of a trace behind as it leaves your spoon. Start the rice: In a medium saucepan, combine 1 tablespoon of butter, 1 cup of jasmine rice, 1 cup of bone broth or chicken stock, and ½ cup water. Bring to a boil, cover, and then reduce to low heat for 15-20 minutes. Once the rice has completed cooking, remove from the heat leaving the top on to let sit on the counter until serving time. Prep the veggies: Cut the carrots into thin rounds and cut the tops of the broccoli separating or cutting the florets into bite size pieces. Prep the chicken: Cut the chicken breast into bite-sized pieces. Prep the sauce: add the orange zest, oyster sauce, sugar, ginger, red pepper flakes, plum vinegar and 1 ½ tablespoons of bone broth to the reduced orange juice mixture, and let the sauce cook over medium heat for about 3 minutes, then remove from heat and set aside. I recommend giving it a taste before cooking it longer than 3 minutes, as you don’t want to reduce it too much. Cook the chicken: In a large pan over medium-high heat, add about 1-2 tablespoons of butter. Add the cubed chicken and brown the chicken for about 6-8 minutes until all sides are lightly browned. Once the chicken has browned and is about 75% cooked, add the chicken into the Dutch oven containing the sauce, while avoiding the addition of any liquids that have accumulated in the chicken pan while cooking. Cook the veggies: Using the same pan that you cooked the chicken in, add the broccoli and about 1/2 cup of water and cook at high heat, stirring frequently while the steam softens the veggies. After about 5 minutes, add the carrots and cook for an additional 2-3 minutes, adding additional water if needed. Do not overcook the veggies, as they will cook a few more minutes in the sauce. Then add the veggie mixture to Dutch oven containing the chicken and sauce. Let everything cook together for an additional 2-4 minutes or until the chicken is cooked through and the sauce has thickened and coated the veggies. Do not over-reduce the sauce. It will be way too strong! 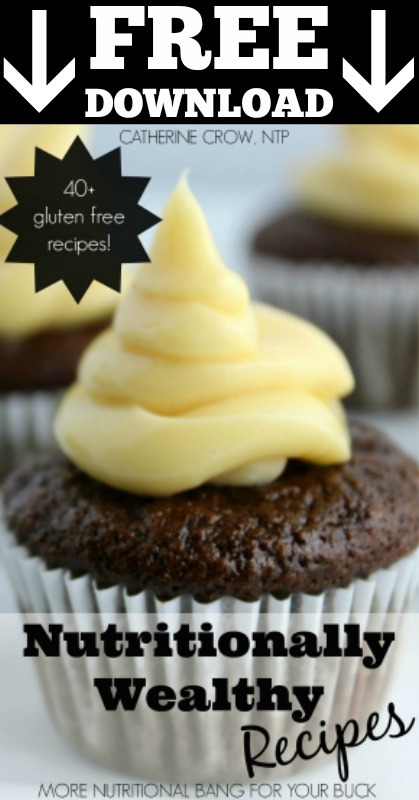 Serve with the bone broth flavored rice for a real nutrient dense dinner. 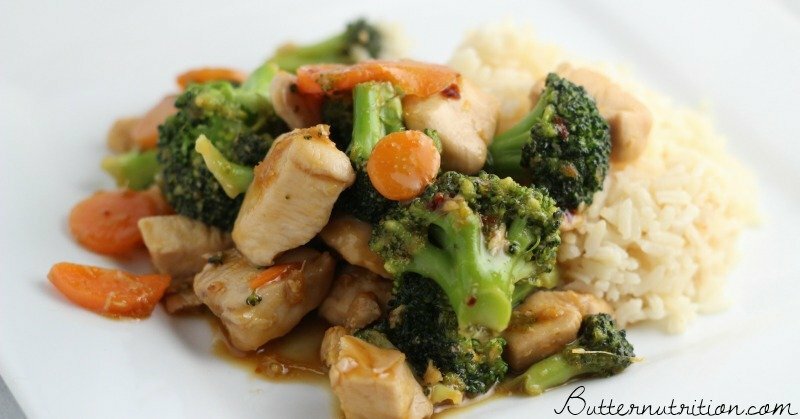 What’s your favorite go-to healthy orange chicken recipe? Please share in the comments! 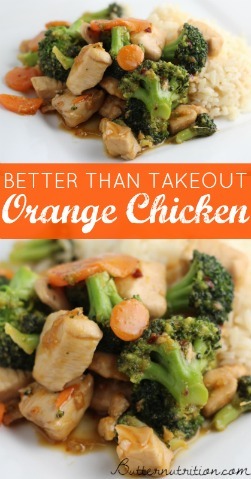 This Orange Chicken recipe is actually easy to made and healthy and my family loves it when i made them this.